Black looks great. And i do drive it in the rain. I take care of it like I do all of my vehicles. 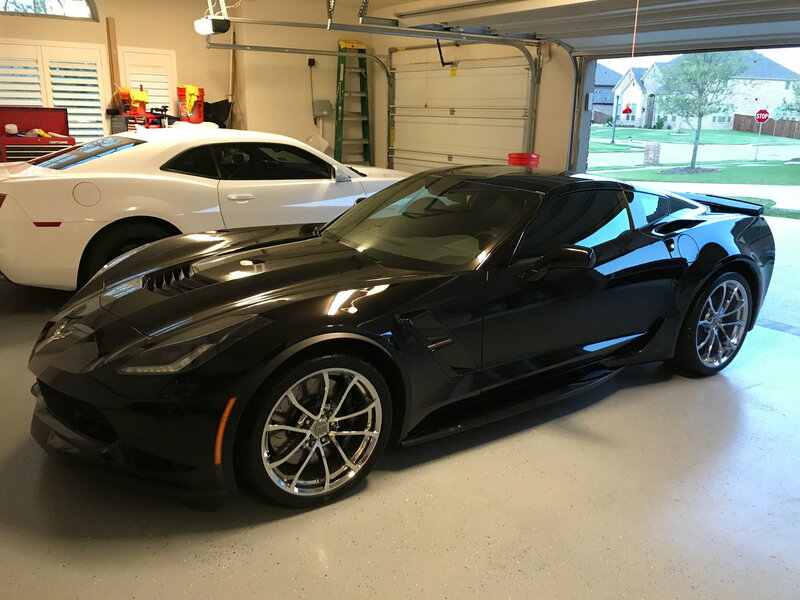 I don't obsess about it but i do wash it two to three times a month and use spray detail and dust buster in between and spray wax. Occasionally I give the nose and top half a good wax. Don't be afraid of black if you really like it. I picked black, and yes it is a lot of work. 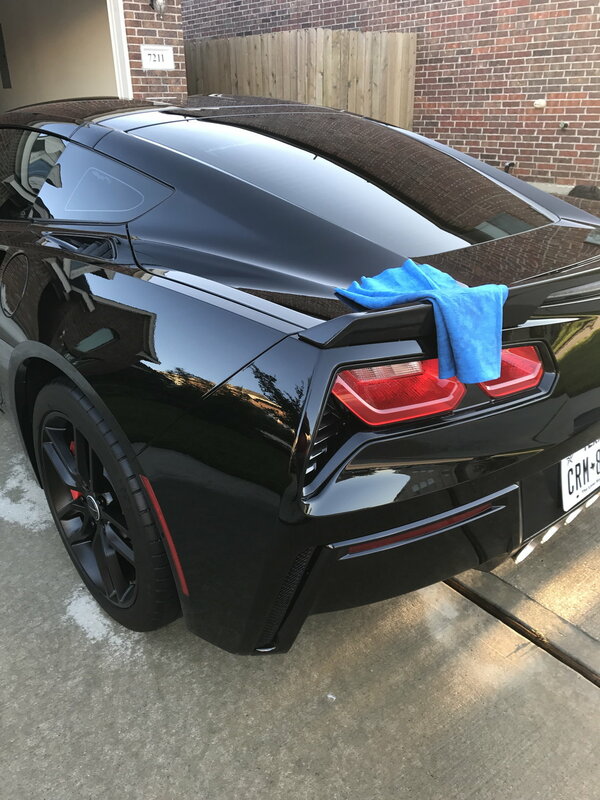 Wax every 2-3 washes and use clean to semi new mircrofiber towels every time. 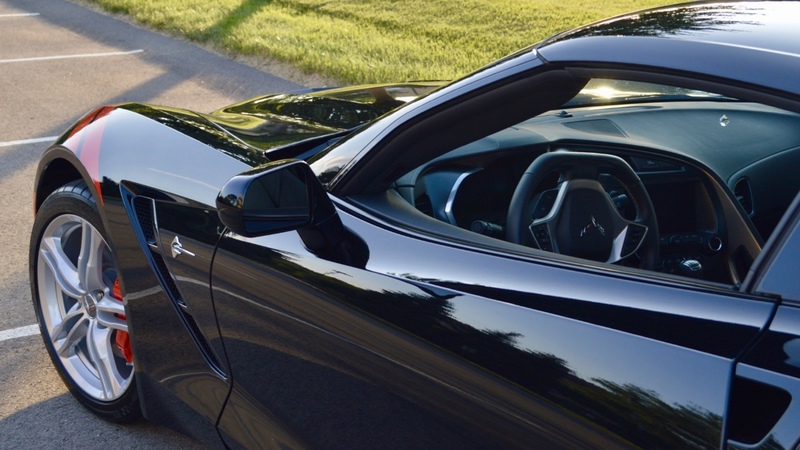 Black C7 convertibles look so good, the entry level spoilers even look righteous on them !! Just saw one (Triple Black - base spoiler) Tuesday in traffic in Dallas, Texas. It looked awesome!! Last edited by SolusChristus; 09-08-2017 at 12:19 AM. 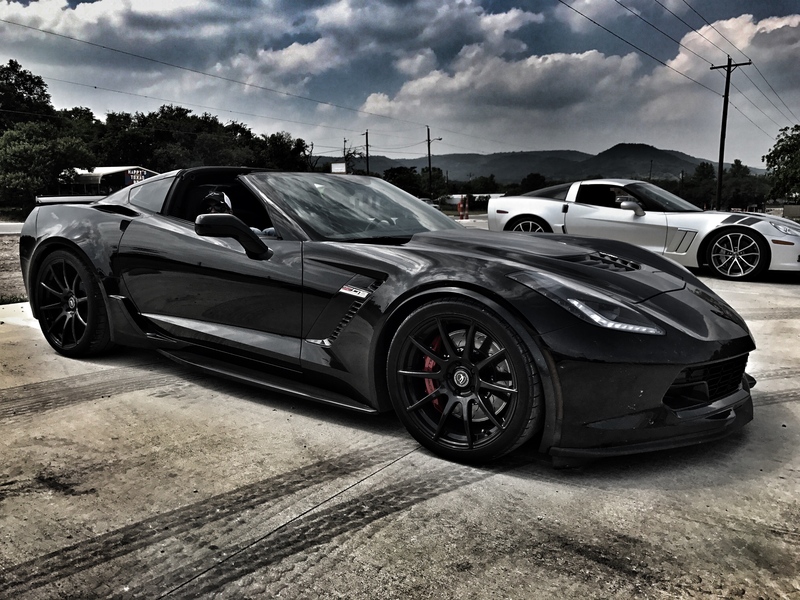 ]I would of gone with a black C7 but I still have my black Z06. Love them both. Last edited by blackmagicZ; 09-08-2017 at 12:50 AM. 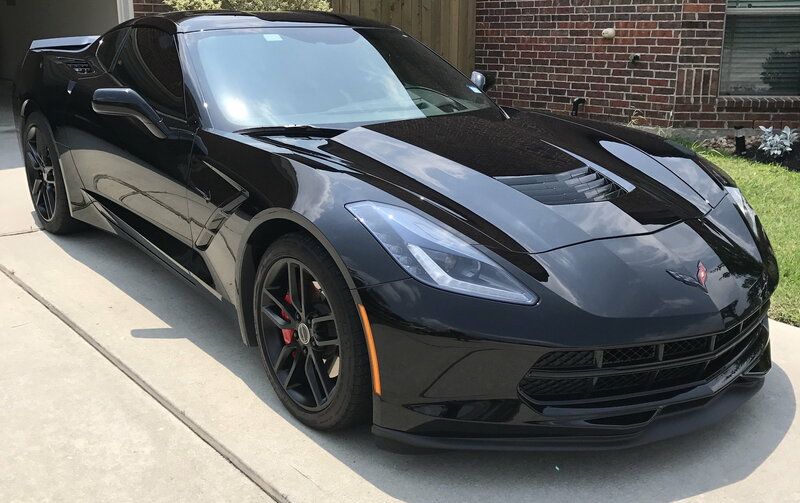 I have a black one with black wheels. I clean it after every drive. I don't mind doing it. It's just another way to enjoy the car. I've owned it since July and I've had the wheels off twice to clean them and wax them, including the inside barrels. Actually, ceramics and PPF make it quite easy to keep a black car clean and swirl free. It used to be a lot harder. Usually no car wash soap is required. Spray off with clean water, blow dry or wipe down and done. Obviously people have different ideas what really "clean" is. Just running some water on it isn't mine. Power washing is a little more than "running some water on it." Moreover, the water exiting the power washer nozzle is 100% distilled (pure) as processed by a CR Spotless filtration system. However, I think you missed the main point. 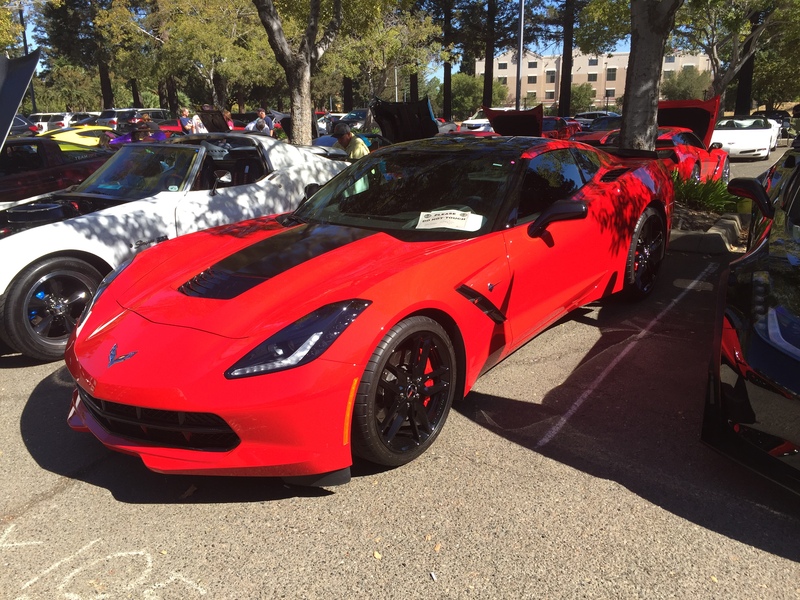 Modern ceramic coatings prevent almost anything from adhering to the paint. Thus, a low pressure power washing removes all dirt from the surface. That's a little different than "Spray off with clean water, blow dry or wipe down and done" which is what you said. That's because I was trying to avoid redundancy w/ my earlier post in this thread, where I went into much more detail, but I know well that most people just jump in without reading threads. My boss wanted a black car but got a different color.... he looks at my black 4Runner lovingly and sadly wondering what might have been. Black and chrome awesome combo but as noted does require a bit more attention to keep it looking fresh.